Understanding how your visitors navigate your website and interact with your content is vital for optimizing site performance and conversions. In fact, by knowing what your visitors are up to on the daily can help you can better convert those same visitors into leads, sales, and loyal repeat customers. Trying to sift through all of the data your WordPress website generates can be confusing and overwhelming. Especially if you do not know where to start. However, by educating yourself on what to look for, you can use that information to get on the path to success. Web analytics is something WP Mayor has written about often. For example, we suggest WordPress website owners become familiar with using Google Analytics to track website traffic and analyze those statistics. 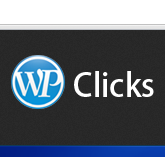 In addition, you can find an overview of the WPClicks plugin here, which monitors physical clicks on your website to give insight into how users interact with your content. However, today we are going to further discuss the exceptional User Insights plugin and see what awesome features are included to help you make sense of your WordPress user data. Before jumping into how to track, organize, and monitor your website user data, it is important to have a firm grasp on what web analytics actually is. Web analytics is not only the simple act of collecting data and analyzing it. In fact, web analytics is the long-term strategy of data collection and analysis. And, it includes what you do with that data once you have gathered it. Once you collect enough solid data about how your website visitors interact with your content, the next step is to take that information and devise a plan for how you will use it to better your site’s performance, design, lead conversion efforts, and sales. More so, this plan must align with your overall business goals in order for all of this hard work to be effective. 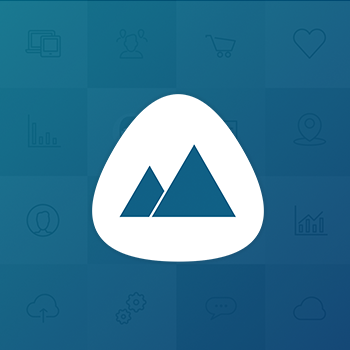 User Insights is a premium WordPress plugin that makes sense of your website data. Created as a data management tool for analyzing user behavior and filtering that information into understandable data, User Insights lets you better understand what is happening on your website when people visit it. Plus, you never have to write a single line of code to implement this tool onto your website. Who are the most active users on my website? How often do my active users visit? How do site visitors interact with my content? Who are the most active buyers? Which demographic visits my site the most? In the end, understanding the type of site visitors that explore your site on a daily basis will help you to create better products and services to meet their needs. Although we have touched on some of these features before here at WPMayor, it is important to review them in more detail so you can fully understand the value this plugin offers website users. This tool, integrated throughout the plugin and all of its included features, allows you to filter your users and segment them by different criteria. As one of the most powerful features this plugin provides, you can apply filters using available users, fields, and properties so you can create separate lists of users. From there, you can analyze each user segment and devise ways to better target them. User Insights is a flexible plugin. For example, all User Insights filters are stackable meaning you can add more filters on top of the already applied ones. This feature provides website owners a way to further segment their user data and dig deep into what exactly their demographics, behaviors, and needs are. Let’s look at the different types of filters available for your use. The text filter lets you change the filter conditions based on text criteria. The default data text fields are username, name, email, and website. However, you can add more fields to your filtering options further expanding your data collection by activating one of the eight modules included in the User Insights plugin. In addition, you can add supported conditions such as is, is not, contains, does not contain, starts with, and ends with to your text filters. Default user fields of data type are date registered and last seen. One great example the team at User Insights suggests is to activate the WooCommerce module and add a last purchase date field. This way you can clue into how often your site visitors are making purchases. This filter applies to numeric fields. Again, the WordPress default fields for this filter are number of posts created, number of comments, and number of sessions. You can change the WooCommerce, BuddyPress, or bbPress User Insights modules to gain insight into things like number of orders, number of friends or groups, and even number of forums, topics, and replies posted. The numeric conditions User Insights supports are: is, is bigger than, and is smaller than. Altogether, the User Insights filters are a powerful part of this plugin. These filters are how you will be able to tap into all the information you want about your site visitors. And, by utilizing some or all of the available modules – Device Detection, Geolocation, WooCommerce, bbPress, BuddyPress, Easy Digital Downloads, Ultimate Member, and Gravity Forms – you will get an exceptional amount of different data for improving your website and your business. Device Detection. Get information about the type of devices your site visitors are using. For instance, learn about browser names, browser versions, and platforms (e.g. Windows, iPhone, or Android). Geolocation. Detect and store your website users’ geographical location data such as country, region, and city. In addition, access an interactive map of your users around the globe. WooCommerce. User Insights has out of the box support for WooCommerce. It provides data about registered users, purchases they make, and allows for filters based on shop order criteria. bbPress. User Insights works well with the popular forum management plugin bbPress. Analyze user data as it relates to forums, topics, and replies. BuddyPress. Automatically manage information like groups, friends, and activity updates with the BuddyPress module. Easy Digital Downloads. Automatically detecting EDD on your website, User Insights provides lots of user information. For example, the number of orders made, last order date, total spent, products ordered, and by status. Ultimate Member. Another great online community plugin for WordPress, Ultimate Member works well with User Insights. Get information about what users choose from your dropdown menus, numeric fields such as user age and birthdate, as well as any checkbox data visitors click on. Gravity Forms. Amass data related to your Gravity Forms’ Meta fields. For instance, drop down menus, numeric fields, date fields, checkboxes, and other text fields. These modules, when paired with the various other advanced filters available in the User Insights plugin, become a dominant web analytics tool. After you create your user lists according to your defined criteria, User Insights allows you to export those lists in a CSV format. This is helpful for exporting users to other systems, to mail lists, or for basic recordkeeping. You can export all available columns in the User Insights user table, as well as ones added from additional modules. More importantly, User Insights lets you apply your custom filters to the users list. This way you can select a specific set of users to export. 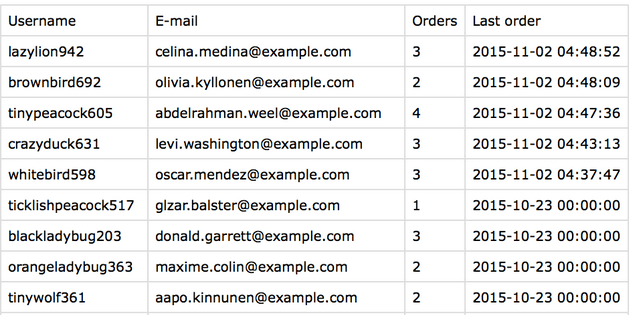 In addition, the way you have your User Insights tables formatted in terms of order (e.g. number of comments left in descending order) will be how your exported list of users is ordered, regardless of which filters you apply for exporting. In the end, User Insights is a valuable tool if you are looking to gain insight into your site visitors’ behavior. This is especially true if you have hopes of bettering your website and improving your business. With multiple features for filtering data, and plenty of other helpful features, User Insights leads the way in user management. I highly recommend this premium, yet affordable, plugin for collecting and analyzing data. In addition, I suggest you take the information you collect and create an intensive web analytics plan. Better yet, use your data to complement your already existing marketing efforts.